Just a small town girl, living in a blogger world; she took the midnight train going straight to Main Street U.S.A..
Michele Atwood, author, journalist, businesswoman, and CEO of The Main Street Mouse (TMSM) and Lost Princess Apparel has been a force to be reckoned with in the Disney media community for almost a decade. She bravely took a leap of faith, left her tower, and moved her family from Michigan to Orlando to chase her Disney dreams. Through hard work, perseverance, and journalistic integrity she has become one of the top female Disney bloggers breaking through the “boys club”, as well as a successful published author sharing her journey, providing hope, and inspiring thousands through her relatable story. Michele has been sought out by local radio stations to cover Disney news, and is now establishing herself as a motivational speaker, spreading the message that anything is possible if you work hard, be kind, and follow your dreams, especially for women from all walks of life. Michele is an accomplished media presence having built The Main Street Mouse, a community for Disney fans, from the ground up in 2008. Michele organically grew her reach, and by 2012 the site had expanded to include Disney articles with a personal touch, and breaking news. To meet the fan demand she created a spin-off group called TMSM Fan Nation, which serves as a place for members to share their Disney memories, and personalized profiles with immediate access to Michele. Between the site and the Fan Nation, Michele has amassed close to 400K followers, and is one of the few females on Disney’s media list for access to the latest and greatest in Disney developments. 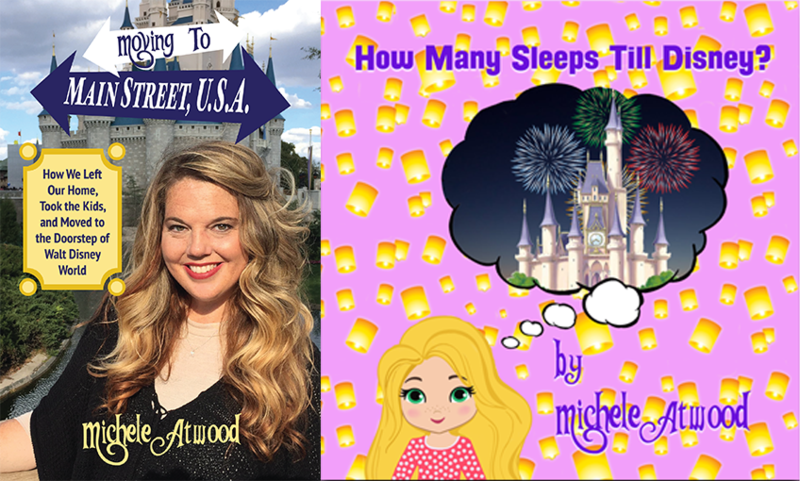 Michele’s first book, Moving to Main Street U.S.A., was #1 on the Amazon best seller list for several months. Her second book, How Many Sleeps Till Disney? was released in December 2018 and has been very successful and picked up by Barnes and Noble and Books-A-Million retailers. She has also been asked to attend various conventions to meet fans across the United States and share her story. Michele can be heard on Orlando’s Morning News with Joe Kelly on WDBO 96.5 each week as a contributor for theme parks news. She was also a key contributor to the Orlando Sentinel’s Emmy Nominated series ‘Summer Tourism Preview’, and she has been a guest on various Disney podcasts. Her “girl power” attitude is contagious, but as a mom of two boys, she knows what it takes to achieve success by pursuing her passions and maintaining balance. She hopes to share her experiences and insight with others through speaking engagements, her social media channels, and TMSM’s blog; which is already a go-to resource for Disney fans seeking real-time Disney news and advice on everything from the newest merchandise to V.I.P experiences. Michele’s journey is so relatable, and she is such a warm presence, that her target audience is practically everyone she meets. Michele thrives off speaking and interacting with diverse audiences of all ages, having years of experience with followers of her adventures through The Main Street Mouse. The message is simple, follow your dreams. Michele refreshingly acknowledges that the struggles are real and that life isn’t always a fairy tale, but she is living proof of turning what seems like a big thunder mountain of problems into a castle of opportunities with a beautiful view of Main Street. Click HERE for Michele’s media kit.